Over 3700 puzzle swaps have been initiated to date. The following puzzles have been added to the library in the last 30 days. Once they reach that time limit they are removed from this page. When the first member requests a puzzle from this page, an email is sent to the donating member letting them know that the puzzle has been requested and they can then mail it out if they are still in possession of the puzzle. To select a puzzle, click on the title link to the left of the photo. This will open your email window. Do not change the subject line. In the message body enter your name, city and state then send the message. That is all we need to process your request. To request that a puzzle not be sent to you, use the title link to the right of the photo. Once you have gone through this list, browse the full members library to select puzzles that are in the virtual library that other members may currently have. When those puzzles become available, a member can send them to you by initiating a swap with you. Visit the full members library at Full Members Library Please be patient while the photos load. If a photo fails to load, please click on the image icon. Members - to request multiple puzzles, use theBULK PUZZLE REQUEST FORM in the menu bar above. 1122	 1000	 24 x 30	 White Mountain	 Charlie Girard	 Cheers! Several in circulation	 12+	 Cheers! 1573	 1000	 30 x 24	 White Mountain	 What A Beach! Several in circulation	 12+	 What A Beach! The puzzle Brand – White Mountain, Springbok, etc. Title/Request Link – The title or a description, click the link to add your name to the waiting list. The email should contain your name and be from the email address registered to your account. LINK Worked/Do Not Want/ Report Problem or Duplicate: - If you do not want this puzzle or have worked it submit your name here. 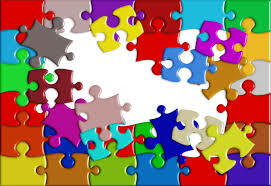 If you have a puzzle that is in the library with no ID label, please report it so that we can send the label to you. Please include all names on the puzzle journey sheet so that we can include them to the master list. © 2018 A Blonde Moment Marketing, LLC. All rights reserved.